Things you think are commonplace may after all sound arcane to many. 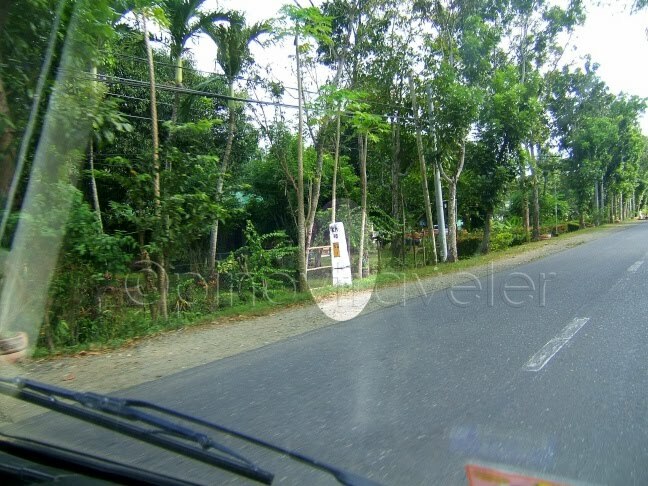 Take the lowly kilometer marker (also called kilometer post). I swear I have encountered, and still am encountering too many people who do not know what these are for, and what the codes try to tell travelers. The ugly thing is some of these folks are even close to me, like I see or talk to them almost on a daily basis (good that none are from my immediate family) hehe. I discovered that some have read my stories referring to these kilometer markers that they did not understand, but just did not ask me. Others have come forward by asking me what I meant with those or what are those. That is how I realized that something I have known as far back when I was 7 years old is all along “uh–huh” to many. And gosh! Someone I practically grew up together with even pulled my ears a few weeks ago over bottles of beer, asking why he did not know about this kilometer marker thing. All I could say was, I thought we (we as in all Filipinos who at least went to elementary school) all know about those damn posts hehe! Then again, we were/are not sure if these posts are even part of any elementary school lesson hehehe! Anyway, since some of you may also be wondering what those are that I sometimes refer to in my travel stories, and like others, that you might also not be brave enough to ask me what those are… here I go and as far as my lowly memory from when I was 7 years old can tell me. Oh, for those who know better, correct me if I’m ever wrong about anything on this thing okay? Its not as if I’ve read a book about them. All my knowledge is based on my travel experiences. What is it? It’s that yellow post about 3 or 4 ft high standing by the roadside that you cannot miss while you’re on the way to anywhere. There are too many of them all over our road networks! What are they for? They serve various purposes, depending on who wants to use them. Generally to guide motorists / or travelers like us about where we are or where we are headed and/or how many kilometers have we already been rolling. Engineers and highway construction workers use them as reference when doing their jobs. Drivers and conductors use them too, to compute for fares. Local government folks use them to identify demarcations between barrios, towns and cities. Police and traffic officers use them to easily point places during emergencies, and many other such uses. Most importantly, we use it to answer the naggers who keep asking “are we there yet? “. “Are we there yet? “, I recall, that is how I learned about these things. When I was still a little kulit of a brat who kept asking if we were there yet, my parents would tell me to watch the road signs so I would know. And I did! That knowledge naturally progressed into trying to know what was the next town and next and the next, so they gave me a road map! I now reckon, that must have been an achievement for them to have successfully kept me from bothering everyone with my “are we there yet“! Hmm. But I only have them to thank for this. And, come to think of it, that might have started what later came out as an insatiable desire to roam this country. Or maybe I was just really road-bound even that early. Wha'ever! Are they all yellow? 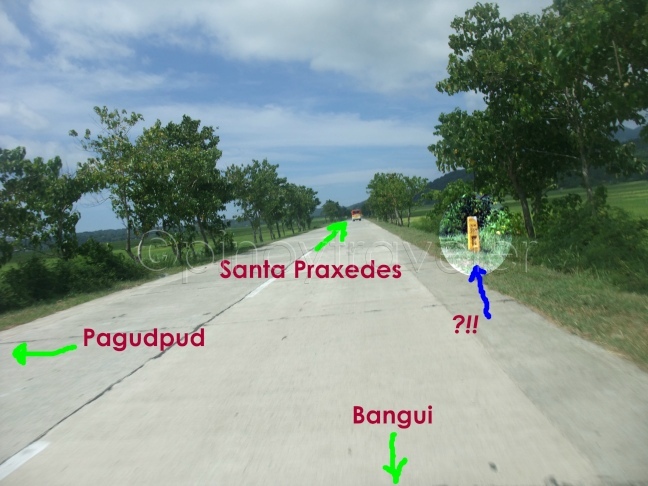 In the Philippines, it is supposed to be a yes as per DPWH. But some towns, whose officials are probably ignorant about the use of these things and road color meanings, have painted the posts with other colors. White is acceptable to me but to paint them red or any other color, my lips are pursed and sealed hehe! It is supposed to be easily visible even at a distance and the use of yellow is not because the authorities love Cory. That color has been in use all over the world even before she was born! Well, at least I have not yet seen kilometer markers that are colored green, blue, orange, purple or pink hehe. Malay nyo, ignorance can be the start of something colorful, you know! The "upper" figures you see on those kilometer markers are supposed to reckon to “km 0”. That is how we read the numbers. Take the picture on this paragraph as an example. 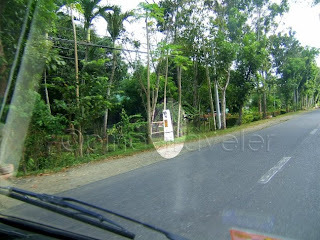 I was in Naga City, by the highway waiting for a ride to Camsur Watersports Complex. 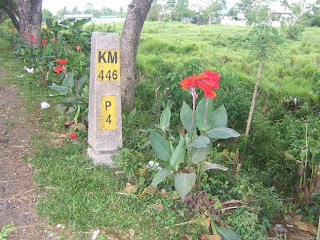 It tells you that where I stood by those red flowers, I was 446 kilometers away from Manila. Yes, Luneta! Rizal’s monument to be exact! If you want to measure that for yourself, go ahead and try. No one will stop you! But what about the letter “P” and the number “4”? No its not pier four nor is it page four hehe. It means the next town (and it starts with the letter “P”) that is Pili, Camarines Sur, is still four kilometers away from those red flowers. But where in Pili? It’s a big town you know? Umm, there are localized kilometer zeros in each town, city or province that are usually located at the government center of the mentioned locality. But let’s go to that topic later, aight? 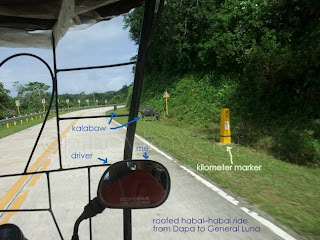 As for now, if you were standing beside that kilometer marker, you can call home and tell them “hey, am exactly 446 kms away from Manila and will be in Pili, CamSur after another 4 kms”! Then expect your relatives to answer with “so?!”. Yun lang! Lets cut this “lesson“ here and learn about complexities in my next blog entry. Its not that simple after all! Your article has allowed me to get clear concepts and meanings of words about a kilometer marker, application essay it turns out it is quite important.